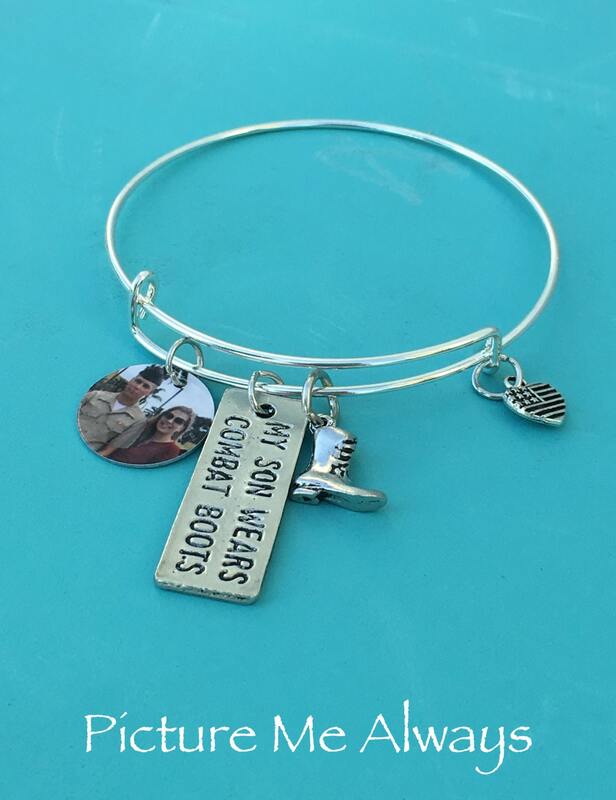 These bracelets have a shiny silver finish and are expandable. 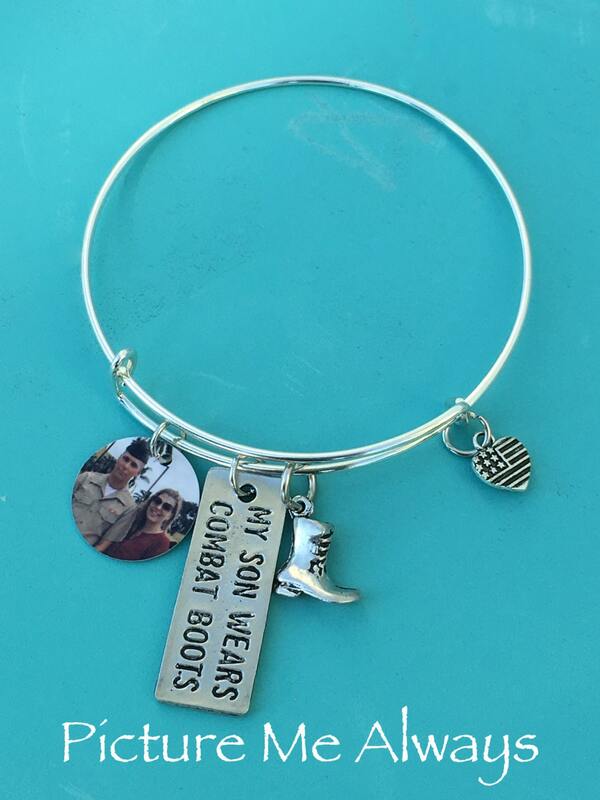 This bracelet will come with the charms pictured and a custom charm with your son's photo. Keep them close and show your support while they are gone! After purchase please email picture to picturemealways [!at] gmail.com or send via Etsy conversation. Bought this for my MIL for Mother's Day. She absolutely loved it!! Very well made and so perfect! Thank you!